and it got me thinking of mechanical circuits. 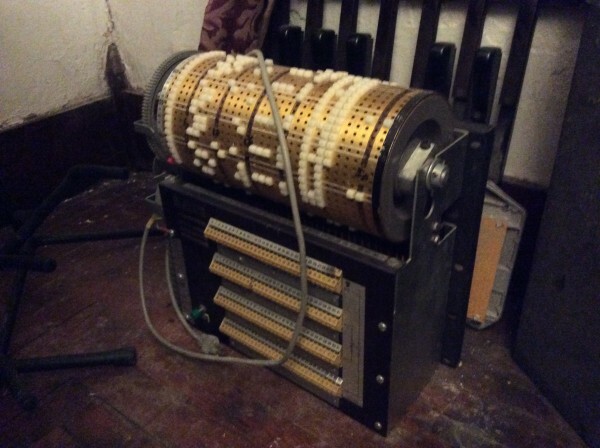 I guess things percolated to today, seeking for something fun to create, and it occurred that sequencers could be made using age-old mechanical circuit techniques. Here is the mechanical inverter that I mentioned. the input is determined to be on one corner and the inversion is on the diagonally opposite corner. the value is encoded as right or left. This model is kinda stiff and high friction, mostly because there is not shaft on the gear (i was modeling what the original design did, to be improved later). also the teeth are just trapezoids IIRC, and not properly shaped gear teeth. So I gotta redo it. Anyway, it is basically a rack and pinion with an extra rack i suppose you could say. you'll notice my knowledge of mechanical things is rather limited, making this fun if not efficient exploration. Also pictured is a decorative frame that I was going to use as a cell phone cover. now I am thinking that a better use for it is as a decorative encasement for such mechanical circuits. And in 3D not just the 2.5D (as they call it) shown. Nice! I've been thinking myself about stuff you could do with a 3d printer to make mechanical noise. Fun note: I read your subtitle as "making modem music the old fashioned way", i.e. "modem" instead of "modern"! modem music sounds cool. the mechanical music, well i made a gear try at it and it was not very successful. 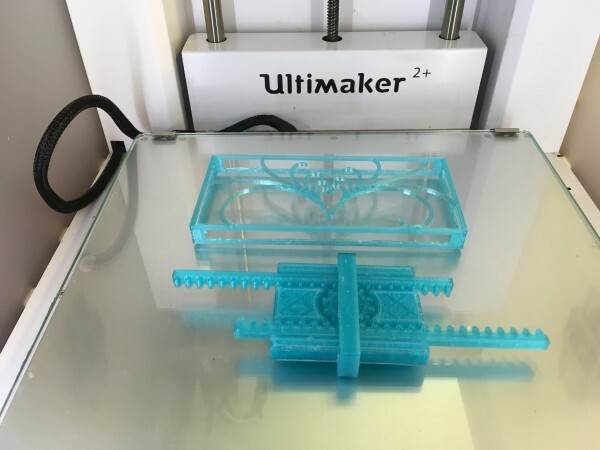 the gears did turn but only with a lot of friction, plus i knew the design would not reduce the speed at each gear stage but i printed it anyway to check for fit and the use of the big nozzle on the little gears and to see that it all printed properly and quickly. It was not a very successful print, so I decided to punt! Some days you gotta punt! it got me thinking of mechanical circuits. I guess things percolated to today, seeking for something fun to create, and it occurred that sequencers could be made using age-old mechanical circuit techniques. I had never noticed this thread Les. Here is my mechanical sequencer project. My brother saved it from the trash where he works. It looks extremely retro, nice find! Hi Mike. Very cool video. I like the synth and the unique concept.